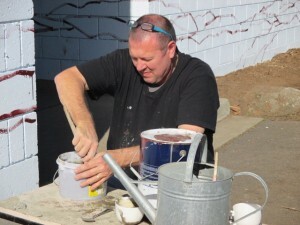 In Term 2, 2013, all Donvale PS students had the opportunity of participating in an ‘Artist in Residence’ Program. The Program ran during scheduled Visual Art times and was overseen by Bernadette Towan, our Visual Arts teacher. In 2014, Stephan once again joined the DPS family and worked with our students to create a magnificent ‘Four Seasons’ Mosaic proudly displayed on our newly renovated General Purpose building. This mosaic is indeed a work of art – one we are most proud to show off to all members of our community. Stephan Hitchens is our Artist in Residence who worked has worked with all our students in creating several major projects around the school. 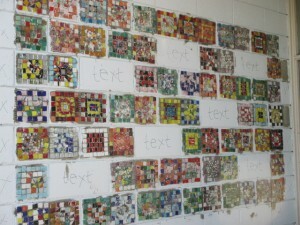 Firstly, Stephan and the students worked to create a giant mural spanning across three buildings in the Junior School area – the Junior Building, Visual Arts Room and Performing Arts Room. This was a significant piece of artwork which showcased and celebrated the achievements and forward directions of Donvale Primary School. Secondly, Stephan expertly guided our students in creating a painting which was linked to the school’s Australian Studies units of work. These paintings are now creatively displayed in the Senior building. 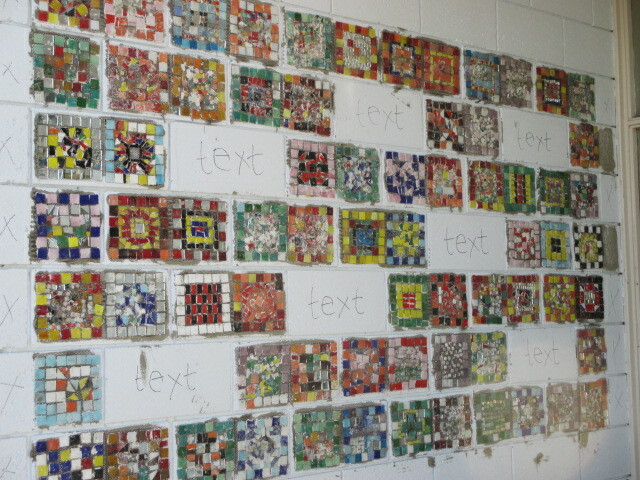 This work further exemplifies the outstanding artistic ability of our students. 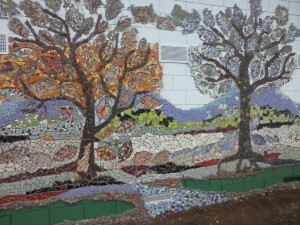 Stephan has now created with our students, our magnificent ‘Four Seasons’ Mosaic mural wall. It is spectacular! Come along and see it. 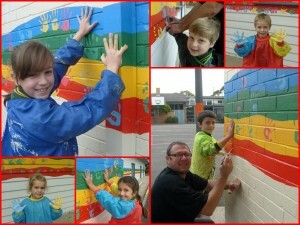 The spectacular mural has come together through the dedication and commitment of our school community, in particular, the Arts Committee. 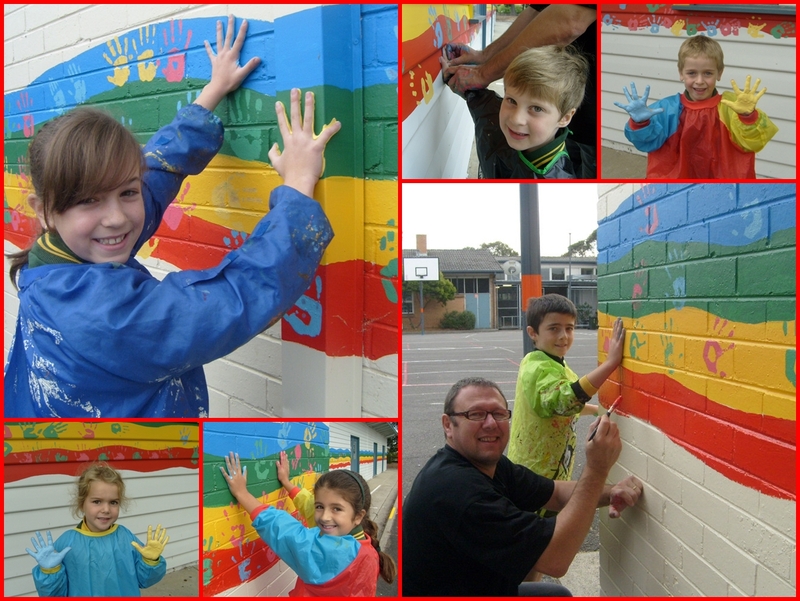 The parents and teachers on this committee, in collaboration with Stephan Hitchens, have worked tirelessly to plan, prepare and develop the mural wall. We all agree that the all the effort has certainly paid off as we celebrate the wonderful achievements of our students. The walls look amazing! If you are interested in being a member of our ‘Arts Committee’, please let contact our Principal, Lena Clark. Parental input is most welcome and highly valued. After living in Bellville in the Western Cape as the son of a travelling representative, Stephan matriculated at The Settlers High School in Bellville and later attended the University of Cape Town. After 3 years in the military Stephan returned home to follow his passion — design and art. After a short stint with a global agency Stephan started his own design / advertising agency and ran this successfully for 20 years. Designing everything from toothpaste packaging to television commercials and logos to brochures, but his first love was always art / painting. After consistently being commissioned to do works for friends and family, then corporates and galleries, Stephan’s vibrant and honest style became popular with overseas collectors and several pieces were shipped off to the UK and USA. Stephan’s works has been collected by private as well as corporate art collections. Stephan blames the success of his art on the unique character and uncompromising boldness thereof. According to Stephan, his work is a mixture of impressionism and expressionism. Stephan has now undertaken the opportunity to involve young artists and students through school projects in this beautiful arena of art and encourages all to paint / draw as he sees this as the window to the soul. Stephan likes to encourage young artists to always create fresh and new artwork, rather than trying to create a good imitation of other artists’ work. There is no right or wrong when it comes to art. The secret lies in the originality thereof.